A 101 in how to make Japanese folklore dull. 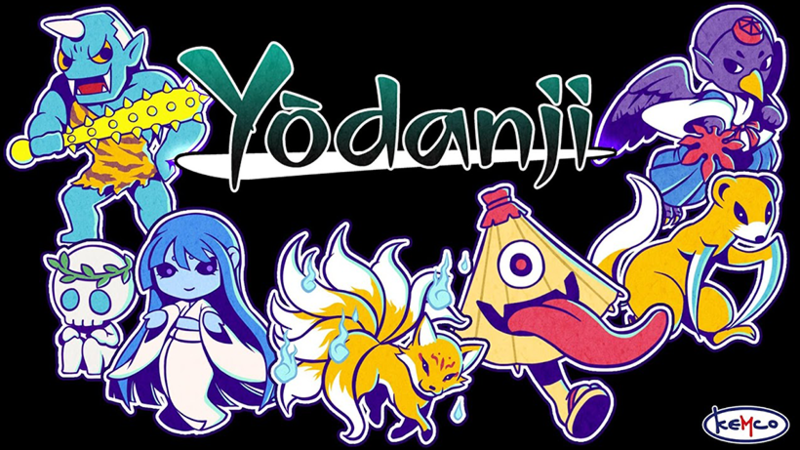 Yodanji is a rogue-like RPG that has you crawling through dark dungeons in search of scrolls to unlock more Yokai to play as. It’s straightforward and that just about sums up the entire experience. There are 3 modes to play; the normal Yokai hunt, a slightly easier version and another that simply tasks you with getting as far as you can before you die. Every time you die, no matter which game mode, your score is displayed and you can compare your run with others from around the world – comparing stats such as floors cleared or enemies defeated. The scoreboards are about the only compelling reason to keep playing, there are loose story lite elements in the form of scrolls you collect which help unlock more characters to play as but there was never really enough for it to be intriguing and worthwhile. For a game that uses Japanese folklore as inspiration, it was disappointing to see it all reduced to this. The gameplay certainly doesn’t help either. 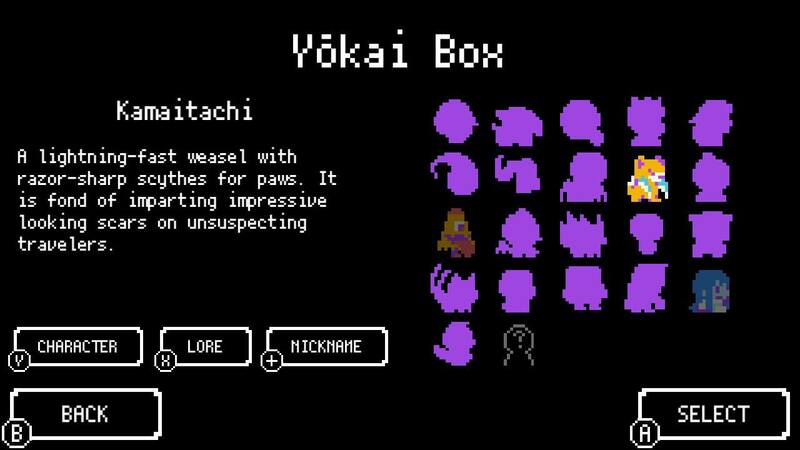 You control one of the fabled Yokai and guide them through a dungeon in a turn-based manner, every movement or attack is a turn so every decision matters. Do you run from a group of enemies, hoping to escape? Or fight your way through them to get through that door on the other side of the room? The turn-based nature helps to alleviate any sort of skill checks found in other rogue-like games, in theory opening the genre up to more people. That is until you realise your decisions matter less and the randomness of the game will decide how things go. So you decided to take on the living umbrella and fancy your chances of making it through that door, you have full health, what could go wrong? 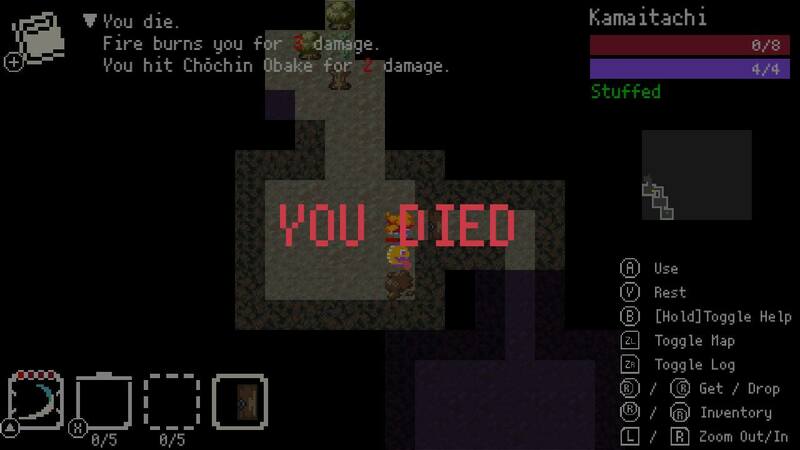 Well, you immediately miss two attacks and the enemy gets two lucky shots – instantly annihilating your poor character before he even made it out of the first room. If this were an isolated example then it could be forgiven but too many times would-be straightforward fights suddenly turn against me and leave me dying with a scenario that never felt in my hands. To add to the mix of frustration there is also a hunger meter to consider, if you make sure you’re eating like it’s Christmas every day then you’ll enjoy the benefit of regenerating health – which is a must in this game. Put your Yokai through a tough diet and, eventually, you’ll start to lose health and eventually starve to death. 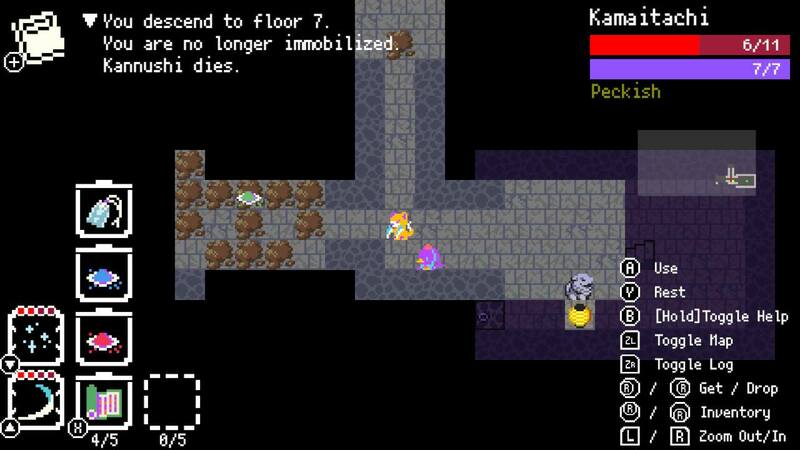 It can be a tough balancing act at times and feeds into the unfair nature of some of the randomness, you can go through a floor of the dungeon without any food and find yourself half starving to death before the game then throws a couple of deadly enemies your way. There isn’t much wrong with Yodanji, it just lacks the charm or refinement to be a fun experience. Too often I found that my failures were more the fault of chance than my own decision making, some might be able to look past this and enjoy the game in short bursts but for many, the game lacks a cutting edge to help it stand out and the experience just isn’t particularly fun.